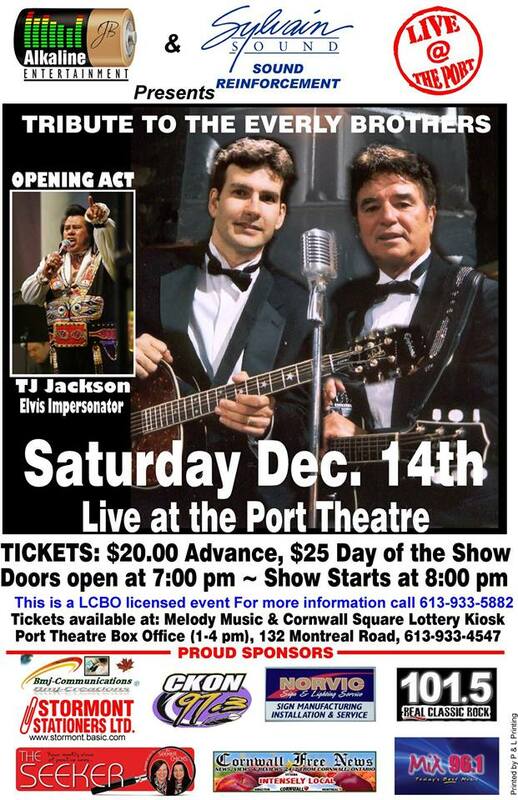 Everly Brothers Tribute & TJ Jackson Elvis Impersonator at The Port in Cornwall Ontario – One Night Only Saturday December 14, 2013! Jeff Brunet of Alkaline Entertainment is proud to present ! A Tribute to the Everly Brothers! with TJ Jackson Elvis Impersonator!